The precision engineered sieve unit consists of a 300-micron screen for removing fine particles and a fitting kit. This will aid water clarity and improve the viewing pleasure of the fish by the pond keeper. 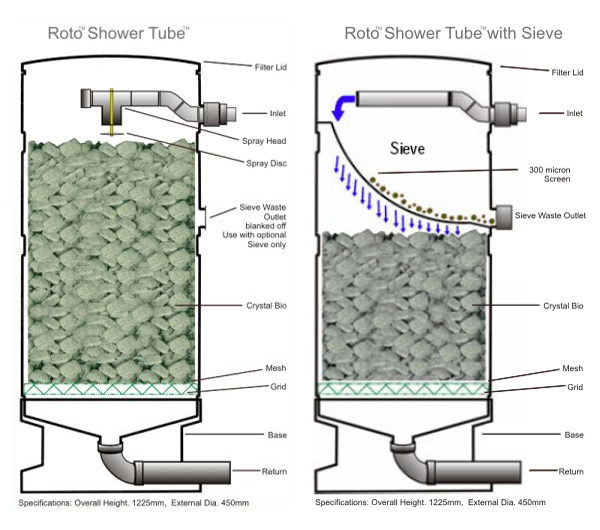 The sieve filter unit can be purchased as an add on for the Crystal Bio Shower Filter standard system.